The former president’s supporters believe his legal battle is orchestrated by white people to distract South Africa from their crimes. A campaign calling itself #Wenzeni_uZuma plans to mobilise Zuma’s followers ahead of his next court appearance on July 27. A motorcade and night vigil on July 26 will be followed by a walk to Dales Park in Pietermaritzburg on July 27, culminating in a march to the city court. Supporters of the embattled politician on social media seem to believe the narrative that Zuma has been targeted by white economic forces due to his championing radical economic transformation. The idea that those seeking to prosecute Zuma are representing white interests is a popular one. Even poet and musician Ntsiki Mazwai, known for her controversial statements on social media, seems to have embraced the pro-Zuma movement. On Friday, she tweeted her belief that South Africans adored the Zuma family precisely because of apparent attempts by the media to turn the country against him. Another post shows the former president addressing a crowd in KwaZulu-Natal (KZN) and leading them in song, showing the massive support Msholozi still receives in his home province. 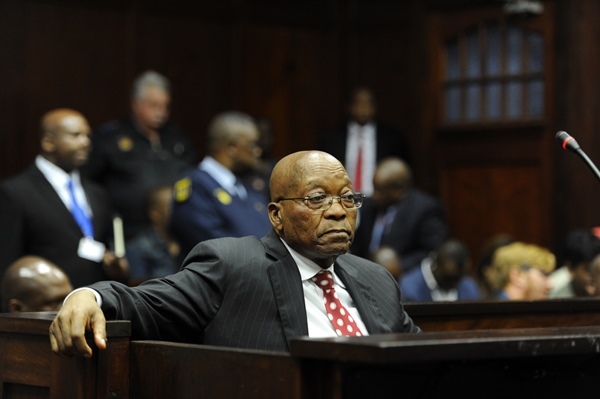 The trial of Jacob Zuma’s son, Duduzane, for allegedly negligently causing the deaths of taxi commuters Phumzile Dube and Nanki Mashaba has become similarly politically charged. Zuma made a brief appearance in the Randburg Magistrates’ Court on Thursday before his case was postponed for six weeks. The Citizen reported on Thursday that members of Black First Land First (BLF) protested outside the court, calling for the arrest of FW de Klerk. These supporters seem to argue that De Klerk’s apartheid crimes should take precedence over Duduzane’s alleged negligence that causes the deaths of the commuters. The Daily Maverick on Friday called this “insane” and an example of “just how morally bankrupt whataboutism can be”. Some on social media agree, saying regardless of De Klerk’s alleged crimes, he should not be used to deflect from what Duduzane allegedly did. Now that Duduzane Zuma has been charged the NPA should proceed in a similar fashion to prosecute Johann Rupert in a case involving corruption he did with the Courts, Nedbank and RMB to steal a farm belonging to a Widow in Franschoek. Regardless of his legal woes, the former president can take comfort in the knowledge that many South Africans support him as he faces hundreds of corruption charges.